María Grand photo by Adrien Tillman. This performance is supported by the Selvage Fund. Tenor saxophonist María Grand presents her solo project: Persephone / Her Story. A young woman tells her personal story, taking the symbolic figure of Persephone to give her story a universal dimension. 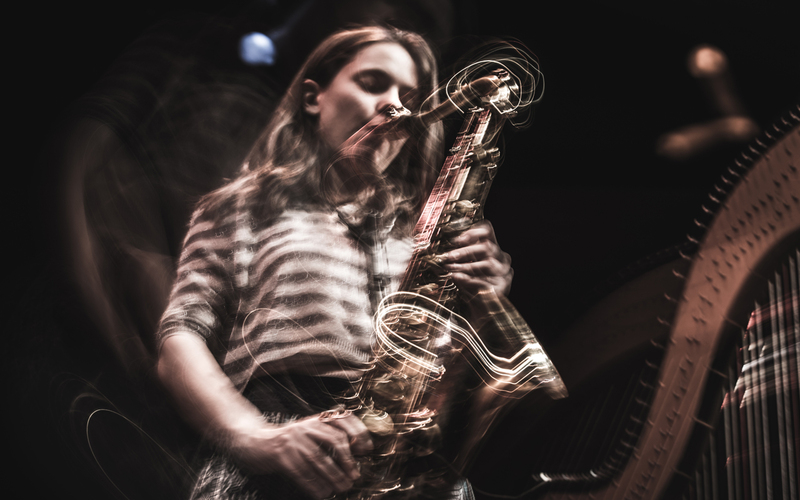 María Grand uses the saxophone, her voice, and a gong, which she plays over a soundtrack she created specifically for this version of the piece, to express her vision of the stages of Persephone’s life.